Discover the power of growing your physical therapy practice profits WITHOUT spending more money on Marketing. On this instant access video seminar program you’ll discover how to generate tens of thousands of EXTRA dollars in profit in the next 90 days… EVEN IF you’ve got a “tight” marketing budget or the Insurance companies continue to SLASH your rates - or even HALF your fees! The future of your physical therapy clinic depends upon your ability to attract a regular supply of new patients to your practice without getting a single referral from a doctor – if you understand that this is the single most important business activity you will ever do – and you are willing to spend just two hours of your time mastering how to do it – this course will give you everything you need to dramatically improve your clinics new patient numbers and profits. Discover How To Truly Sell The Value Of What You Do – And Copy The New Generation of Heart-Centered PT’s Creating Profitable AND Successful Businesses That Serve More People Better. If you have a desire to give more, to have an impact on more people, to build a sustainable and heart-centered PT Business around those great skills that you developed at PT School – it's vital that you master your selling and influence skills, just like you've mastered your craft. 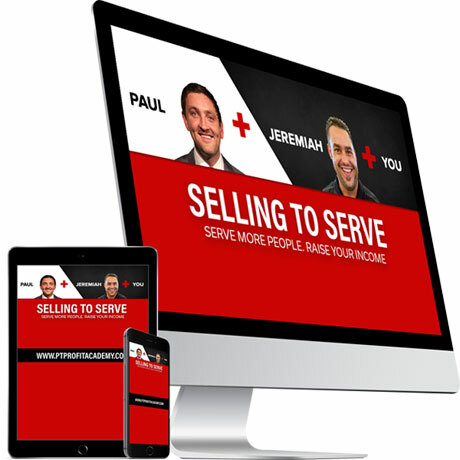 “Selling to Serve” is your chance to SERVE MORE - and EARN MORE. 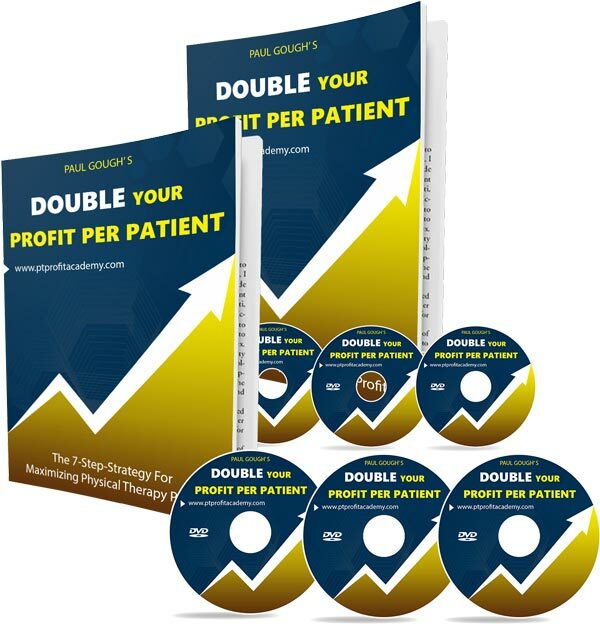 It is a 4-part, online video seminar-training program for Physical Therapists who want to serve more people better - and earn a higher income for doing so. The Complete BLUEPRINT To Automate And Systemize EVERYTHING In Your Business So That It Grows Without You. This is for Physical Therapy business owners serious about growing their business with ease. 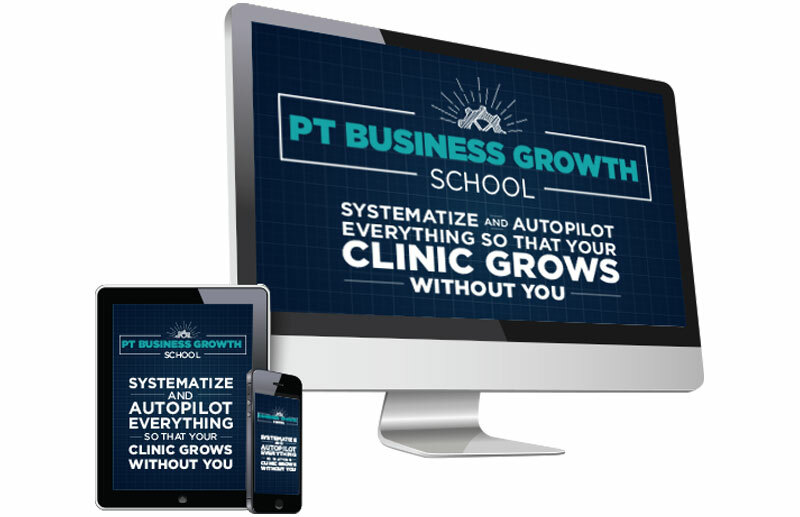 You should expect your 6 weeks on this Systems and Automation Master Class Program to completely change the direction of your PT business - and your lifestyle. 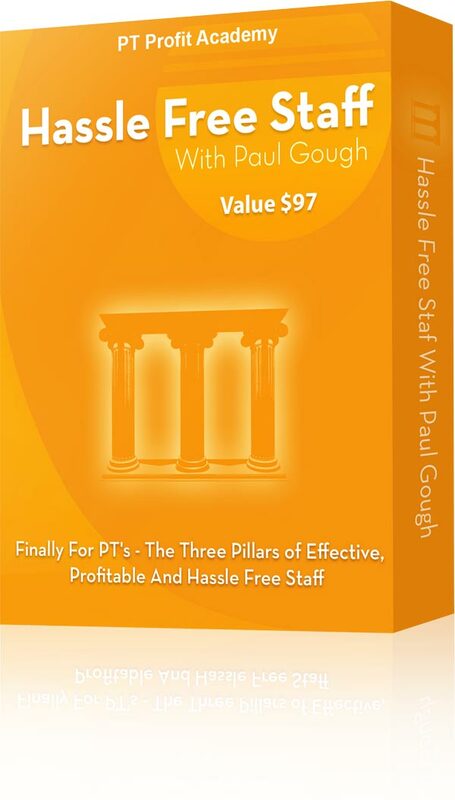 For new and existing PT businesses, on “PT Business Growth School”, you will create systems that will uncover a goldmine of opportunities in your clinic’s standard operating procedure, giving both you and your PT business a great deal of more financial freedom - for NOT an awful lot of effort. 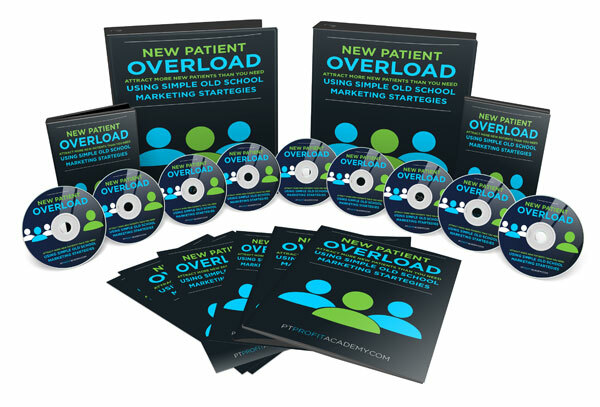 …then it’s time to order “New Patient Overload” - a completely new way of using old school marketing techniques that'll generate an endless flow of your ideal patients who are eager to want to comply with your treatment plans. 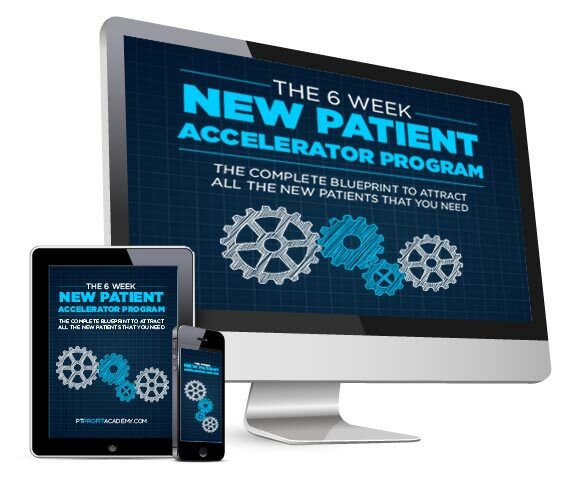 You get all the videos, tools, templates and resources to practically guarantee you get your clinic to the Next Level and above your competition…even if doctors stop referring to your clinic. This is your chance to personally work with Paul Gough for 6 weeks on a global video seminars broadcast - you’ll discover the complete blueprint to attract all the new patients that you need, transform your website and direct marketing – and increase your new patient intake by 50% to 250% in the next 12 months. 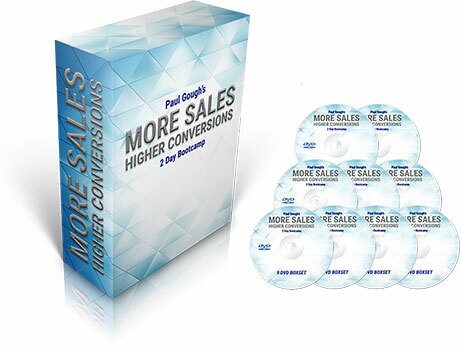 Everything You Need to Know to Improve Your Sales Skills and Increase Your Cash-Pay Conversions! Learn how to protect yourself from the dramatic rise in patients not wanting to pay ‘cash’ or ‘out-of-pocket’ for PT by quickly acquiring the world's best and most ethical selling skills perfect for healthcare providers. 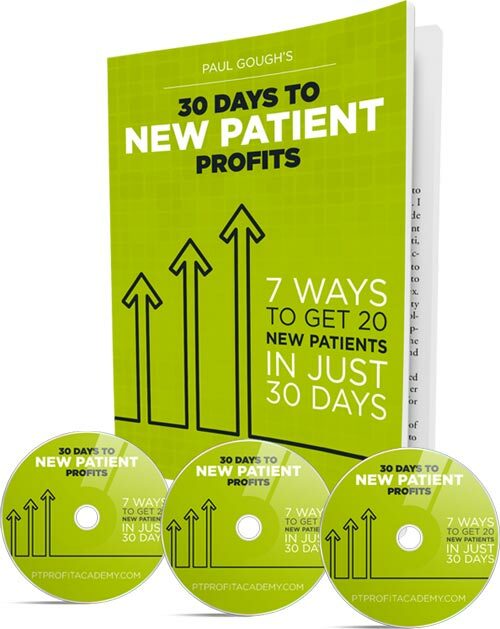 Learn new, proven ways to acquire more high paying cash patients – quickly and easily. 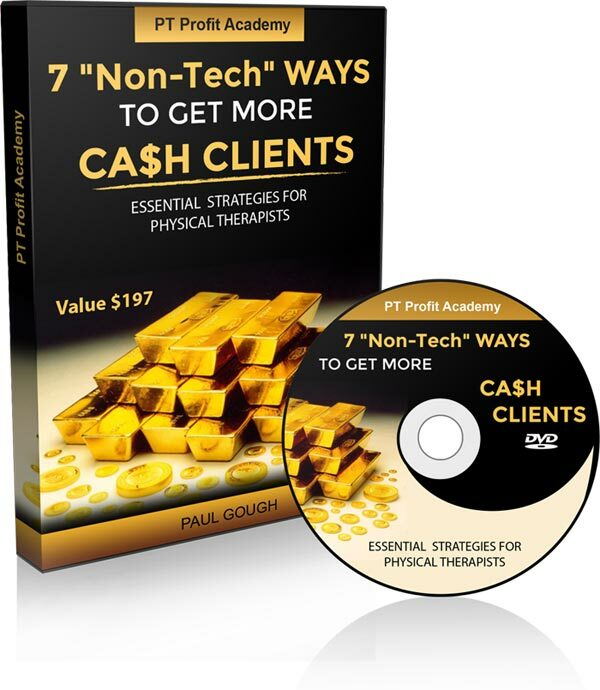 On this “quick action” course perfect for Physical Therapists who know they want more patients and more profits, Paul Gough shows you fast, easy and “non-tech” ways to compel MORE prospective new patients to inquire about YOU online, to pick up the phone and call YOU, or walk through YOUR clinic doors. This course is jam-packed and fast-paced, and everything you learn from it is designed to be ‘actionable’ immediately. Please tell your office staff to expect more new clients within 48 hours. In this course, Paul Gough walks you through some of his most clever (and never before seen) tactics for creating an office culture that is so good it will leave even your clients EAGER to refer their friends and come back to you (and only you) as their PT specialist. Paul’s “Three Pillars of Effective, Profitable and Hassle-Free Staff” course is not one of those boring courses about hiring and firing. NO! It’s about getting everything you can out of the office staff that you’ve currently got. In this powerful course, you’ll learn how to train staff not only to master skills quickly (such as scheduling appointments, never forgetting paperwork, and more), but to build the “habit of cheerfulness” into the very culture of your clinic.